Have you ever wondered how the sky was back in 1900? How the sky looked when the Apollo 11 moon landing happened? Or what the sky will look like next Thursday night for your planned star-gazing trip? Today, the new version of Google Sky Map lets you time travel to see the sky at a specific date, past or future. After smooth travel to the desired year, you can fast forward or rewind in various speeds and watch how the sky changes. While viewing another time period, you can still search for your favorite objects. 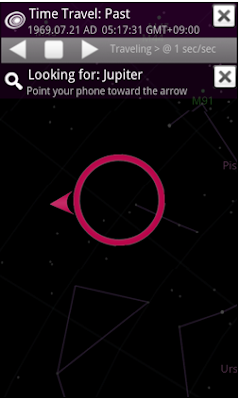 Google Sky Map is available for Android-powered devices running Android 1.6 and above. 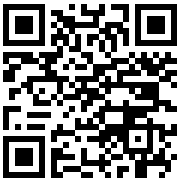 Download this new version by going to Android Market on your phone, or by scanning the QR code below. We'd love to hear from you, both the good and the bad, so leave us comments here or in the Help Forum. Ever heard of "Starry Night"? I've been cruising the sky like that for many years - and even more handy and convenient than on a tiny mobile device. One of my favorite apps, absolutely amazing!! A feature that I would like to see in future versions: The ability to look up visible passes of the ISS or other satellites, like you already can on websites like heavens-above.com or with the Heavens Above Me and MySatellites apps. Is this available on the big screen? Seems to be a bug with time travel and search. The map moves, but the search arrow points to the current location of the object (and freaks out when you get there). Does right action when find object. You can simply create your own mobile websites. Well, We would like to tell you that a mobile friendly website also possesses various advantages. for more information Well, it is a fact that every mobile websites is well enhanced with store locators. Starry Night is NOT more handy than the mobile app here. With this Andoid app, you point the phone to the sky and the sky on the phone is what you see just behind it, but on the phone there are names of stars, planets, etc. no matter wher you point it at(even down)you'd see what sky is. It iis flawlessly close to real time as you move the phone around. This is a great tool to have with your telescope while showing the kids aroud the sky. 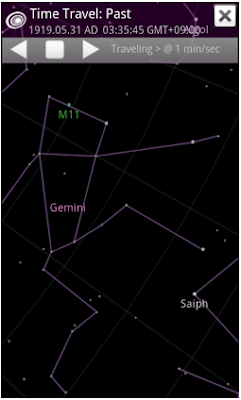 how to instal google sky maps in android gadgets? it's different with google map? Wow! This application is so stylish. Thanks a lot for the details. Can you update me further on the Android APP? THIS IS AMAZING. I'm awe-struck!!! Also, my first thought after "MY PHONE IS THE TARDIS, OMG MY DROID IS THE TARDIS!" *ahem* was that Raj from Big bang Theory should mention this app in an episode. They go stargazing frequently enough that this app should serve well into a conversation. Absolutely love this app from Google. Think it would be a great idea if the phone could alert you if there are meant to be asteroids passing close by (e.g. shooting stars, or something you might need a telescope for etc). Sure they've probably though of this already and are working on something even more amazing.